What: One of only two remaining Route 66 period courthouses in Missouri. Listed in the National Register of Historic Places. 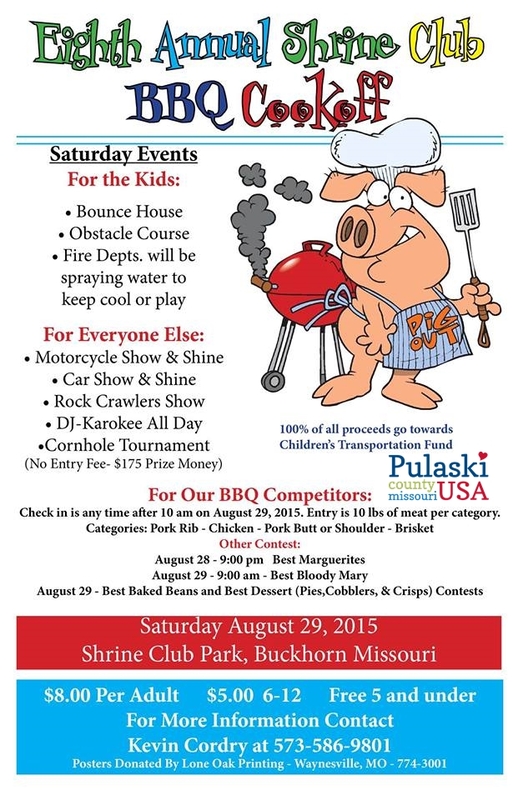 Create lifelong memories with your family in Pulaski County USA! 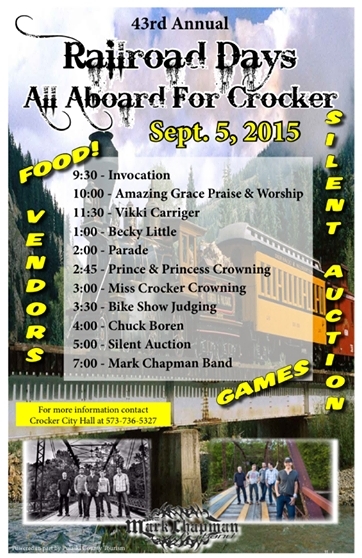 Harvest some memories this Autumn in Pulaski County USA! 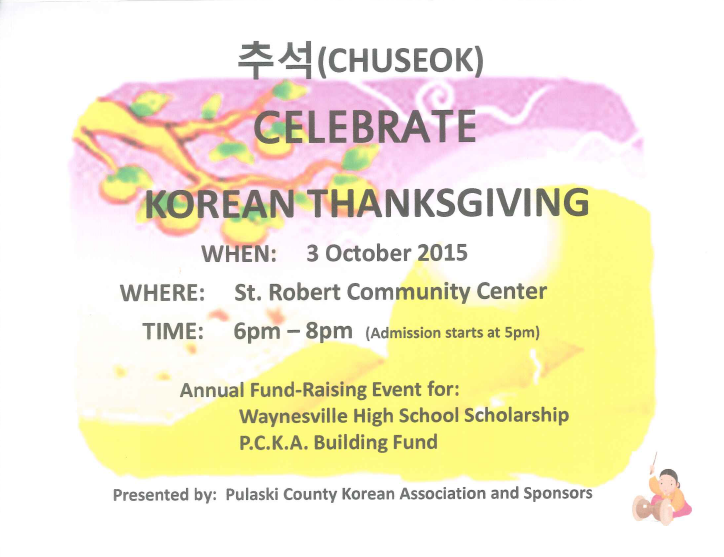 Autumn Activities In Pulaski County USA! Autumn in Pulaski County USA is the perfect season to gather your family and friends together creating memories that will last a lifetime. 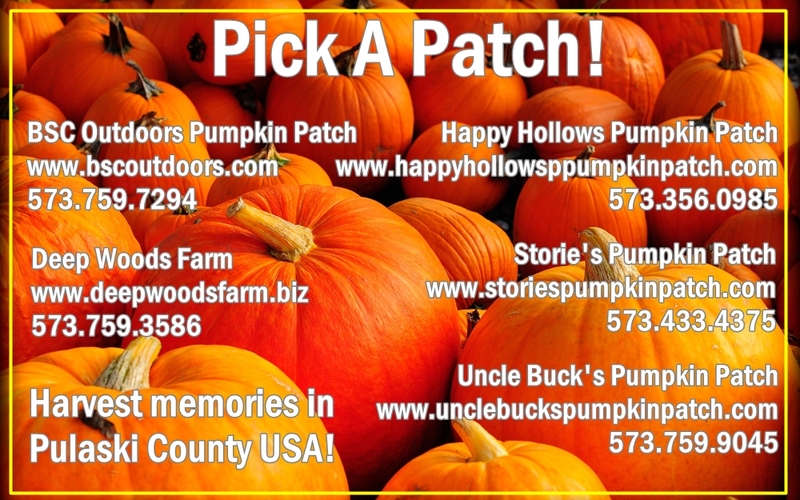 Pumpkin patches, corn mazes, hayrides, petting zoos, punkin’ chunkin’, hay stack mazes, float trips (even a haunted one! 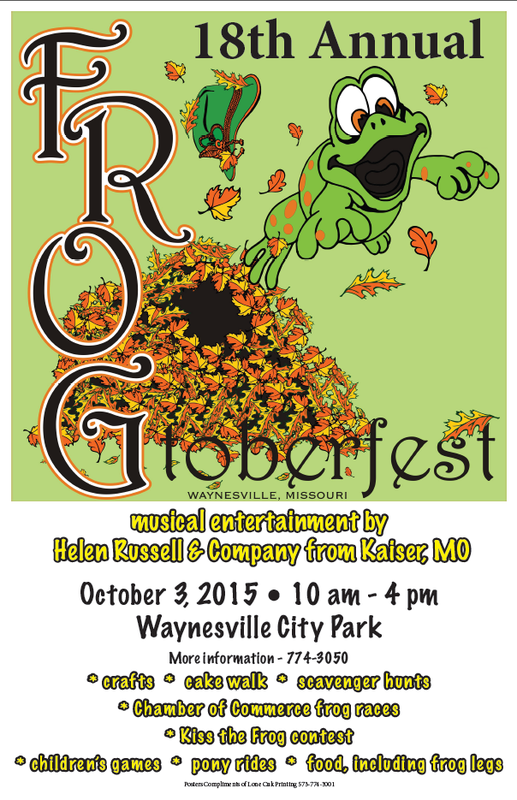 ), farmers markets, haunted houses (even outdoor haunted trails! ), paranormal investigations and Oktoberfest celebrations —there truly is something for everyone. 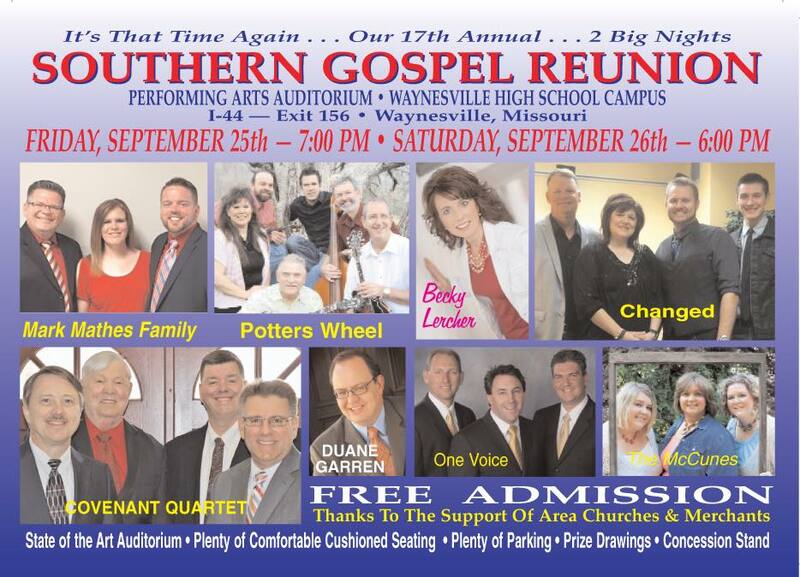 Harvest some memories in Pulaski County, Missouri! What: 32nd anniversary of Dixon’s signature family friendly downtown street festival. Lucky winners will receive a cow! 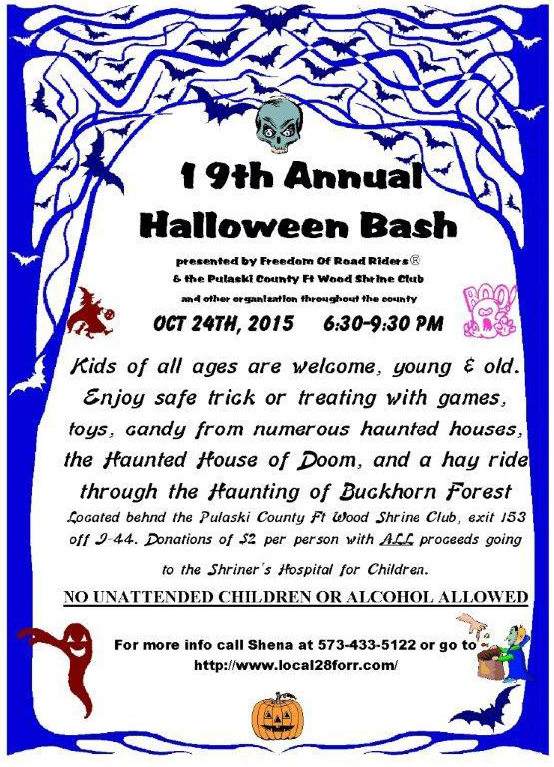 What: Family friendly celebration of W.H. Croaker- Waynesville’s Frog Rock. A highlight is the frog race in Roubidoux Creek. What: Not intended for the young, squeamish, or weak of heart! 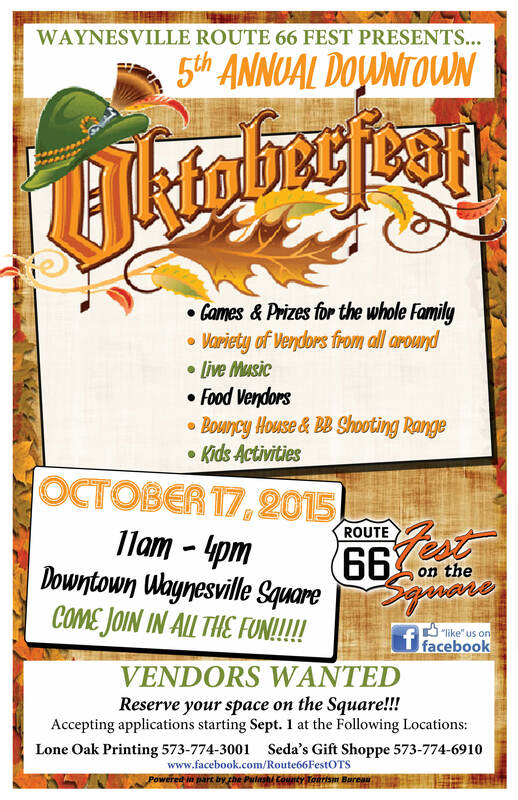 What: Family friendly Oktoberfest street festival on Route 66! What: Not your every day 5K! 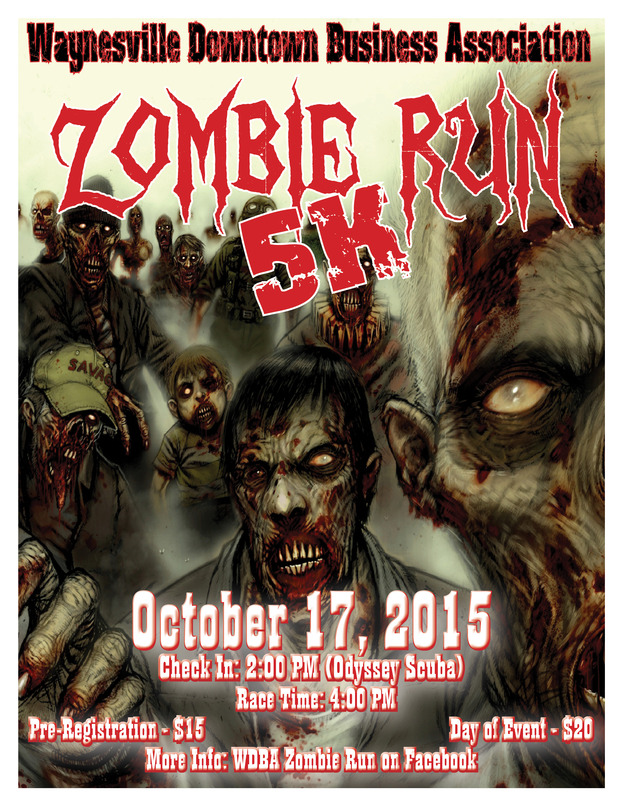 The Walking Dead morphs into The Running Dead as you flee for your life from the Zombie horde in this spirited 5K. What: Pulaski County is home to Fort Leonard Wood- and our patriotism runs deep. Join us for our signature parade that honors and celebrates America’s Veterans. Where: The parade steps off at the Saint Robert Municipal Center and travels north on Missouri Avenue and then west on Historic Route 66 and ends at the Saint Robert Community Center. When: Ceremonies begin promptly at 11:00 am and parade steps off at the conclusion. What: Supervised paranormal investigations of one of Waynesville’s oldest homes. An evening you won’t soon forget! When: Investigation begins at dusk, exact start time will be confirmed during reservation. 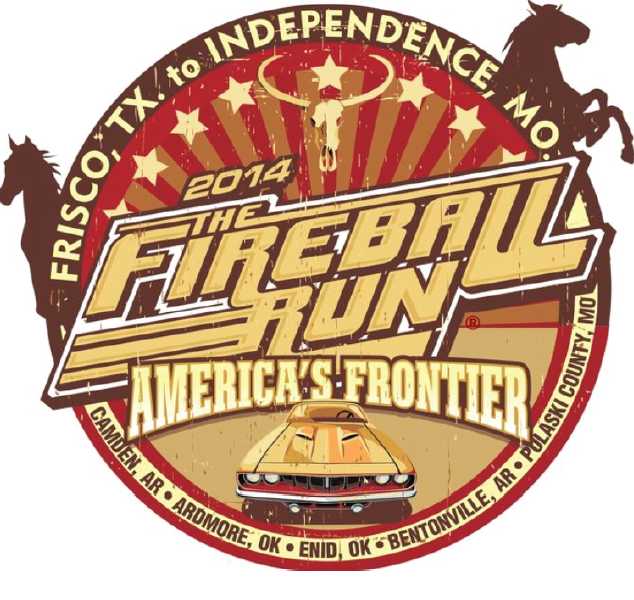 Additional info- Reservations are required. 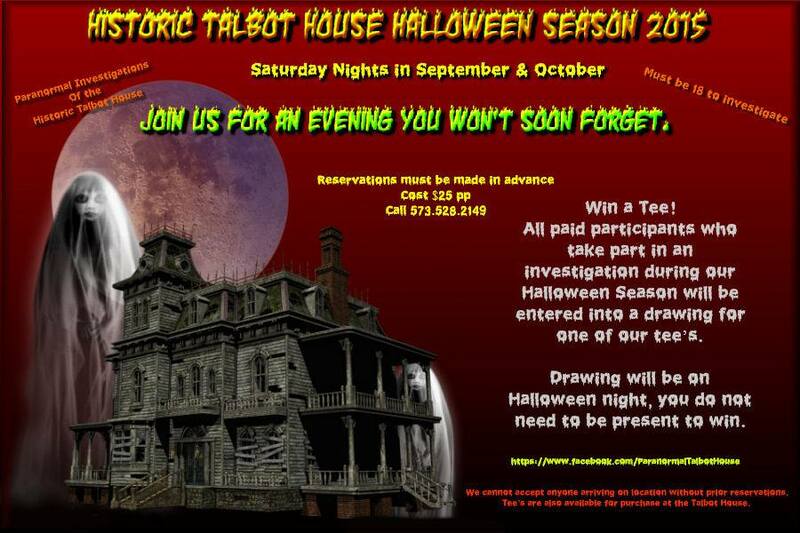 Investigations are limited to groups of 8 so reserve your spot early! Participants must be 18+. 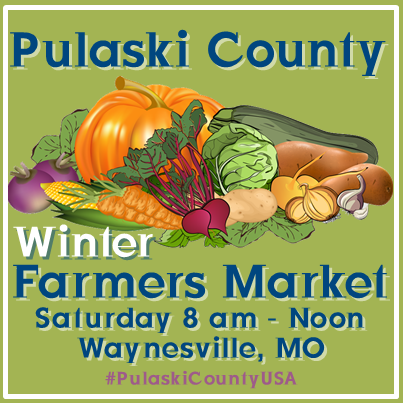 What: Mid-Missouri’s year round Farmers Market! 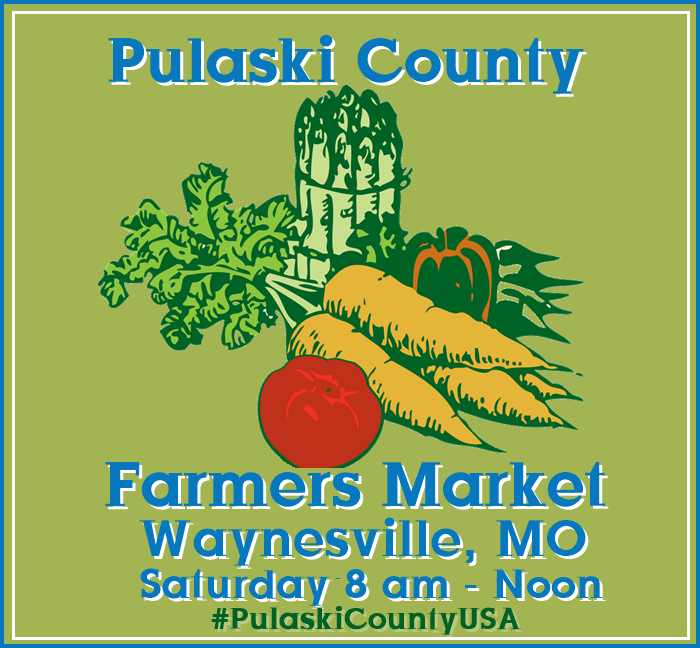 Pulaski County Farmers’ Market is held year round in Waynesville, Missouri. Additional info: School groups and field trips welcome by Tuesday-Friday, appointment. Call for details and to schedule. Community room for educational programs. Parking for large buses available. *UPDATE FOR 2017—Haunted River Float is now being held at Ruby’s Landing located at 22474 Restful Lane, Waynesville, Missouri. 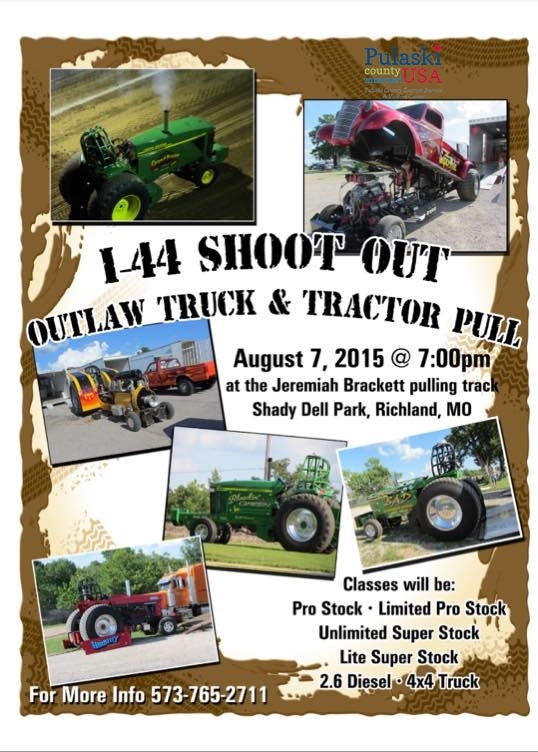 For more information contact 573-337-4305. What: One of only two period courthouses on Route 66 in Missouri, this museum is on the National Register of Historic Places. 10 rooms of displays and amazing architectural details will charm and engage everyone! Guided tours, or explore at your leisure. Additional info- Motorcoaches, groups and field trips welcome by appointment. Call for details and to schedule. Gift shop available. Additional info- Motorcoaches, groups and field trips welcome by appointment. Call for details and to schedule. 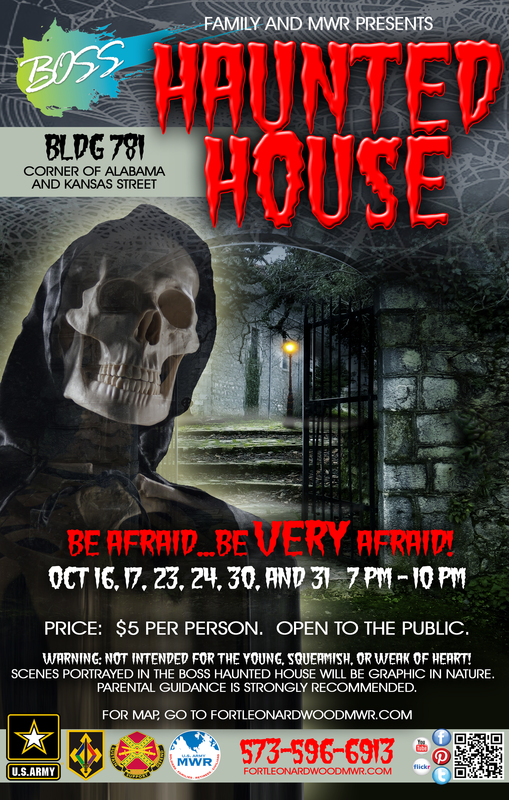 What: Mid Missouri’s most frightening haunted attraction! 60+ live actors! Additional Info- Groups and field trips welcome by appointment on weekdays. Call for details and to schedule. Take a pumpkin patch tour in Pulaski County with your family! “Behind The Scanner” will highlight Ingress portals that can be found in Pulaski County, Missouri. Since great road trips and great food go hand in hand we have selected El Jimador in Saint Robert for our first feature. Every Day Is A Fiesta at El Jimador! El Jimador Mexican Restaurant has been a favorite with Pulaski County locals and Fort Leonard Wood soldiers for over a decade. Affectionately called “Jimmie’s” by repeat patrons this restaurant is known for its generous portions, friendly and attentive service, and consistently yummy food. 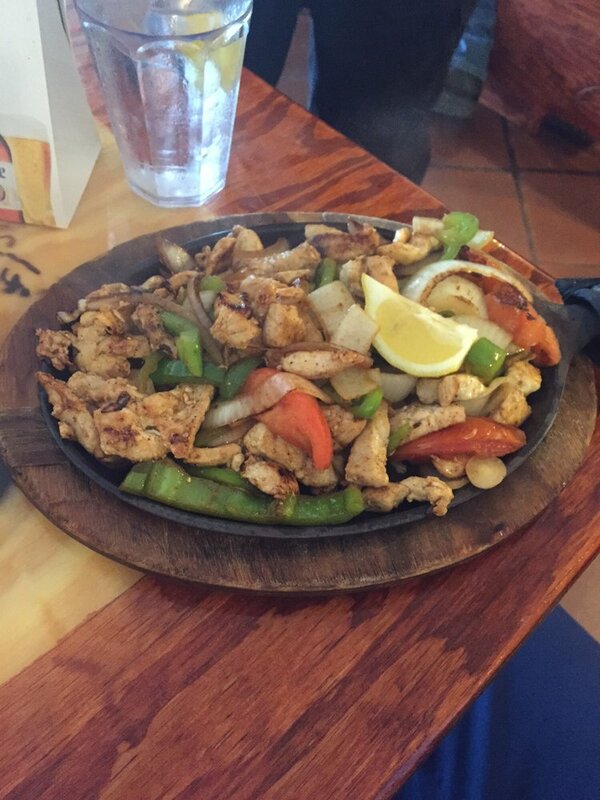 El Jimador’s Chicken Fajitas by Yelp user Mia C.
Their lunch menu is served from 11 a.m. until 3 p.m. seven days a week- and includes a variety of special luncheon plates. They also offer combination plates and special dinners. House specialties include Fajitas El Jimador, Burrito El Jimador, and Camarones El Jimador. 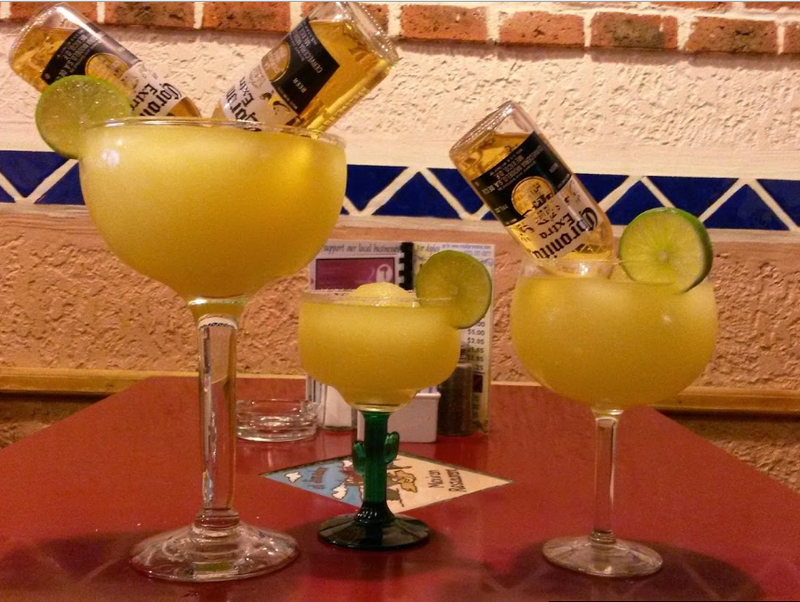 The margaritas have been described as “spot on” and can be ordered in Jumbo and Monster sizes. El Jimador’s margaritas also come in Jumbo and Monster sizes! Image via Google. 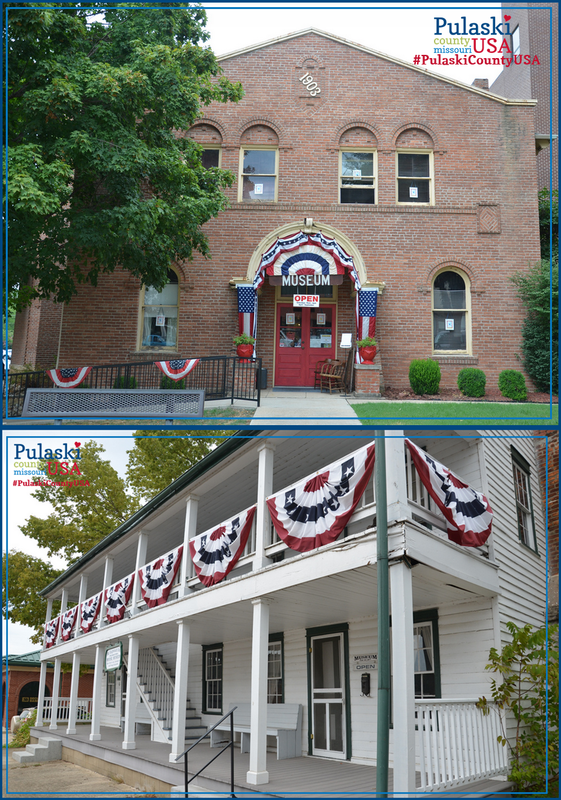 For things to see and do in Pulaski County USA, including dining and lodging options, please visit www.PulaskiCountyUSA.com. 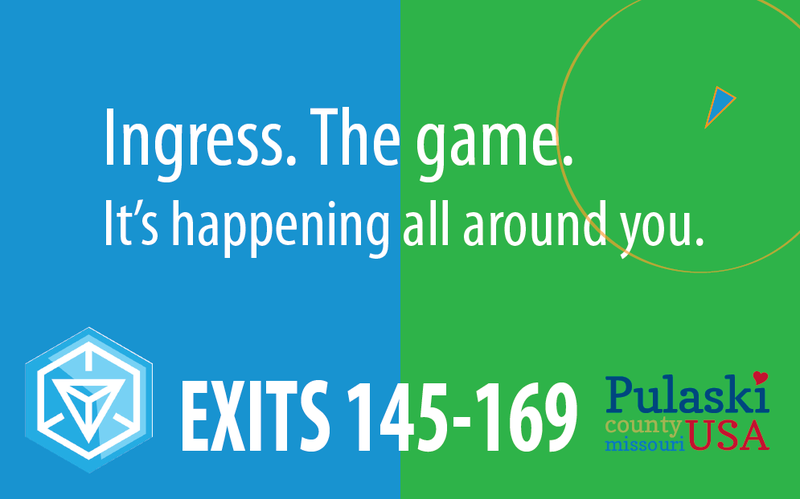 Play Ingress in Pulaski County! What: Buy, sell, and trade with gun, knife, and archery vendors. 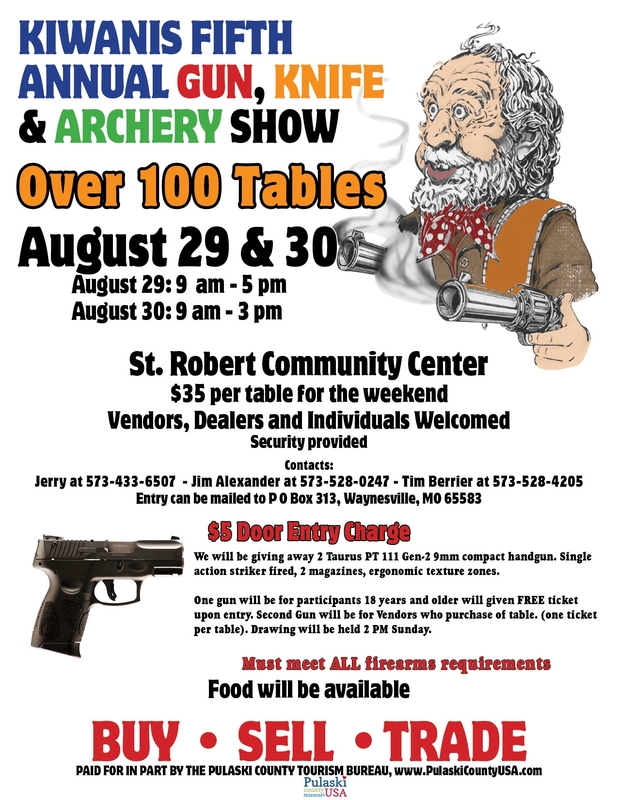 Kiwanis Fifth Annual Gun, Knife, & Archery Show August 29 & 30 in Saint Robert, MO. 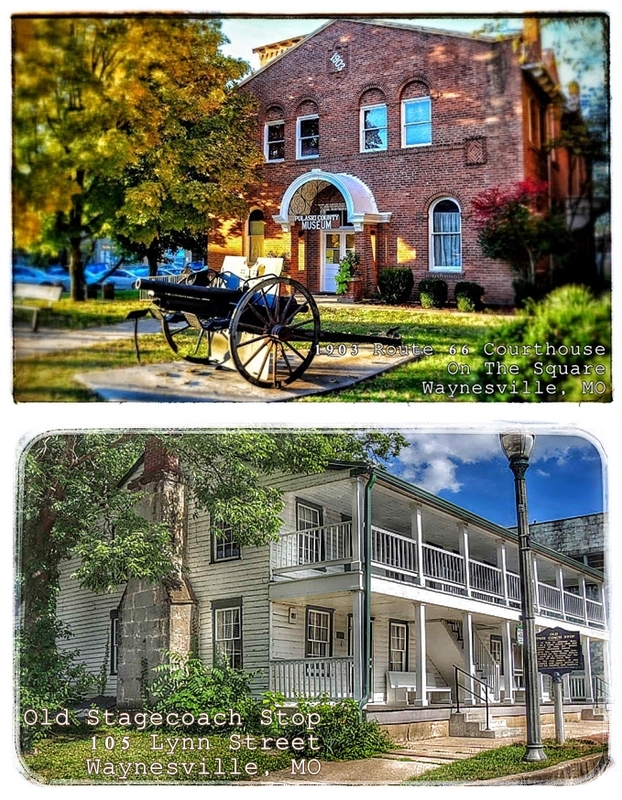 The 1903 Route 66 Courthouse Museum and the Old Stagecoach Stop Museum, on the Square, in downtown Waynesvile, are local and tourism favorites in Pulaski County, MO.